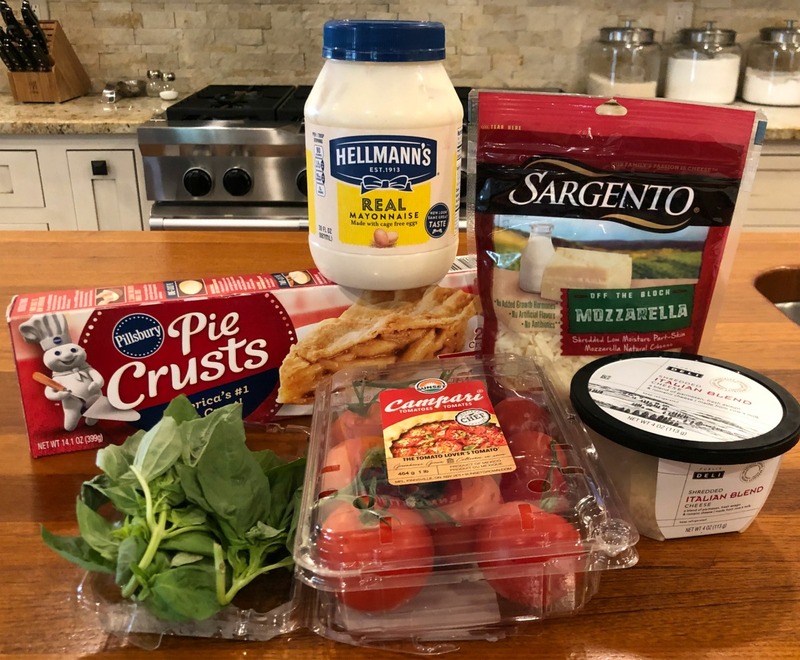 I spotted the BOGO sales on cheese, mayo, tomatoes and pie crusts and knew exactly what meal to share with you guys this week…Tomato Pie! I absolutely love this pie and have been making it since a friend gave me the recipe 20+ years ago. Now this isn’t a sweet pie—this is a savory pie that tastes amazing. It kinda curious how so few ingredients can combine to make something so tasty. When summer comes and I start getting big batches of fresh tomatoes from friends and family, this ends up on the menu about once per week. At this point I don’t even measure the ingredients. I find that eyeballing it works just fine and I have never, ever had one of my pies come out wrong. 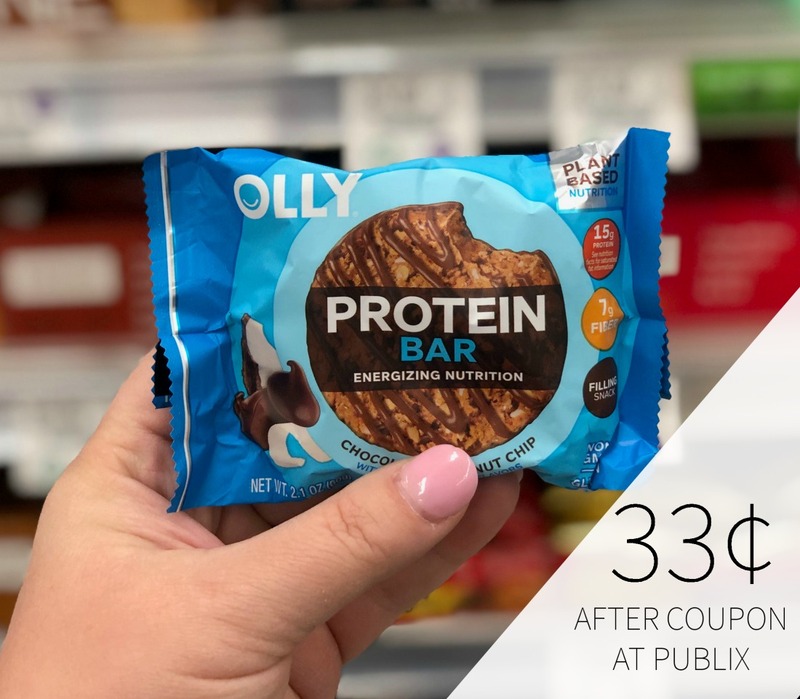 But, I will share the recipe with you today so you can take advantage of the sale and whip up a tasty pie to enjoy at your house. Press the pie crust into a 9-inch pie plate. Line the pie shell with foil (covering crust) and bake in a 400º oven for 5 minutes. Remove the foil and reduce the heat to 375º and bake for an additional 8 minutes. 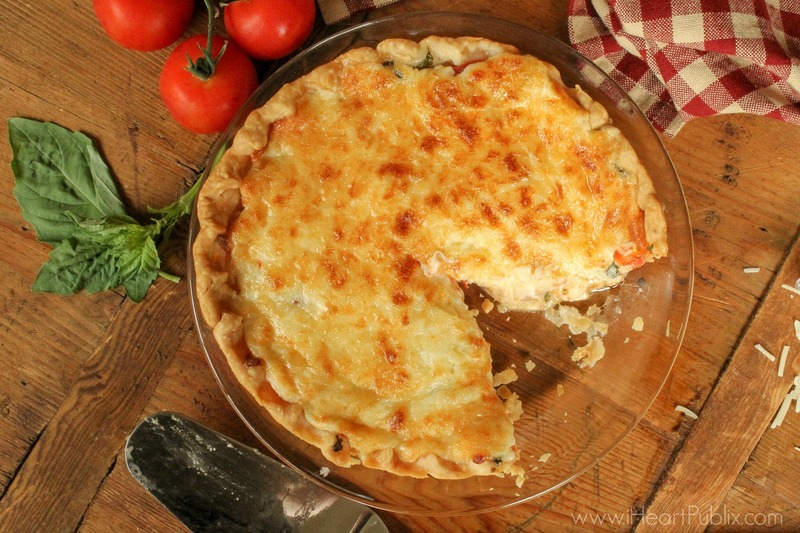 Place ½ cup of mozzarella cheese in the bottom of the pie shell. 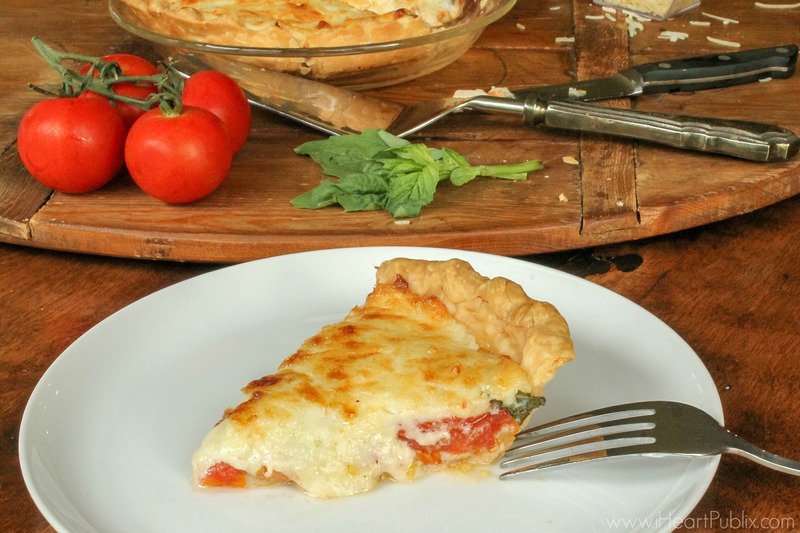 Layer the tomatoes on top of the cheese. In a small bowl, mix the mayo, parmesan and the remaining mozzarella and then spread mixture over the tomatoes. Foil the edges of your pie and bake in a 375º oven for 40 minutes. Allow to cool slightly, cut and serve! Recently tried this for the first time and completely forgot about it. Sooooo glad you posted. I’m getting the ingredients and def going to make it!